is a rather new field for me. Because I started with Indian ink drawing, I was used to see the image as important part. In comics, story is important and the image has to express what the story needs. That is a totally different approach ! Therefore, I often create panels or one-pagers. 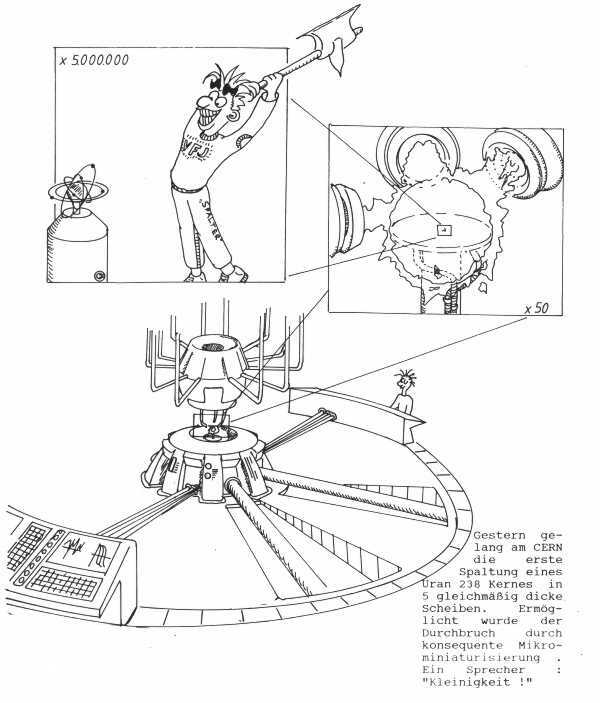 This shows you what nuclear science really means : dealing with very small particles. And what is more obvious than to use small tools for these tasks....? Ahh, by the way, have you seen 'The Life of Brian' ? 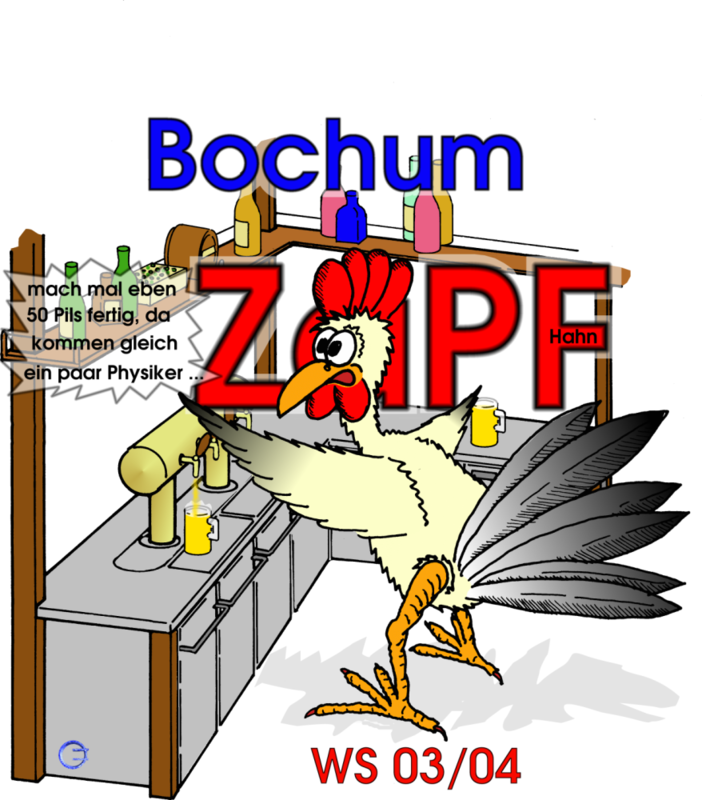 The convention of German physics students, held twice a year, is called ZaPF (Zusammenkunft aller Physik Fachschaften). In 1997, it was our term again to host this convention at the Ruhr-Universit�t Bochum (RUB). Don't ask who came up with the idea to call it RUPF (RUB-ZaPF) in that year. 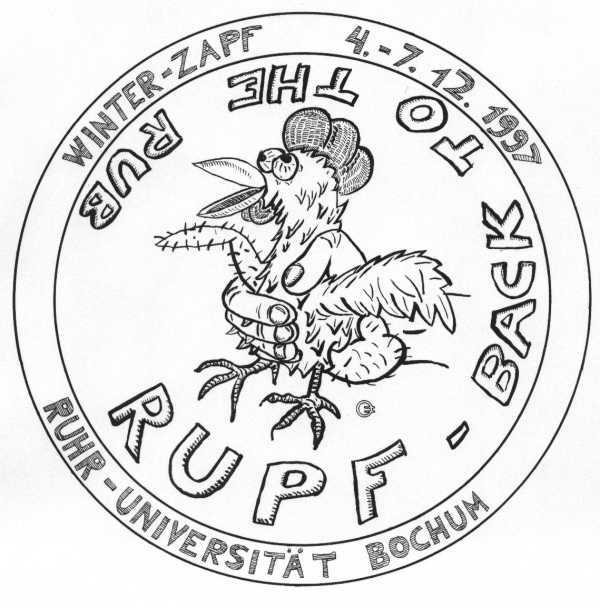 In the year 2003, the ZaPF is again hosted in Bochum. And as one can see, the chicken has it's feathers back. 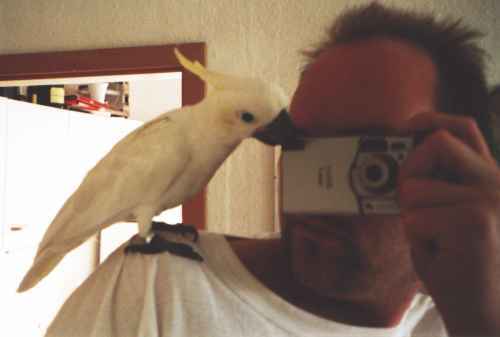 (Note: ZaPFHahn in German also means beer�tap). 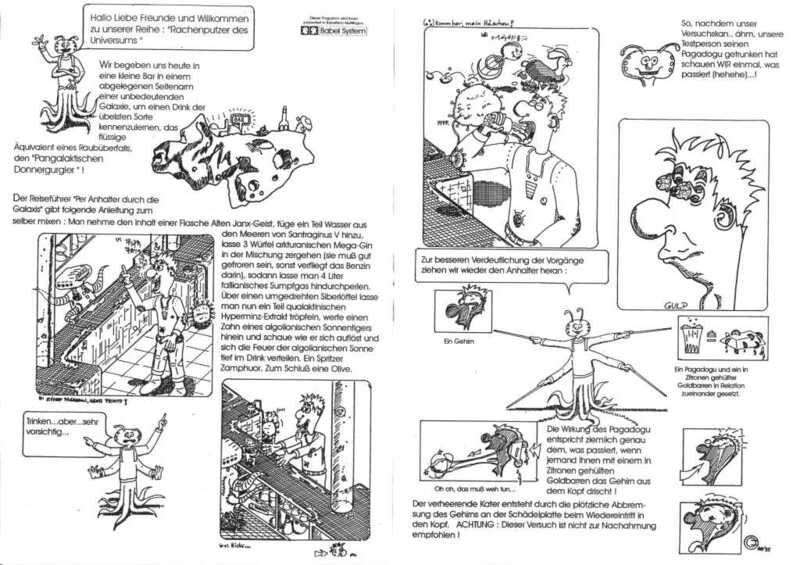 This page and all its contents Copyright © 2000Olaf Eichler. All images are © Olaf Eichler and may NOT be redistributed and/or modified without my explicit consent, though I appreciate any publication of my work and encourage you to contact me on this subject.